These words are put on our lips at the funeral liturgy. We understand these words at the depths of our being not only at the time of someone’s death, but for many, many days ahead in dealing with the loss of a loved one. Time without the decedent can seem ugly, deprived, and hopeless. The author of Lamentations has it right: life can be very bleak. This would indeed be desperate if these words were the only ones we heard and remembered. This reading from Lamentations also says, My portion is the Lord, says my soul; therefore will I hope in him. Good is the Lord to one who waits for him, to the soul that seeks him; It is good to hope in silence for the saving help of the Lord. Life is made new again for the believer in the Lord’s goodness. His tenderness if experienced if we only ask the Lord for it. We are nearly in the month of November, the month of All Saints and All Souls. Traditional for Catholics is the practice of calling to mind, having a memory, of our beloved, at the Sacrifice of the Mass, in the praying of the Office of the Dead, the rosary, visiting the cemetery and in our personal prayer. These moments of prayer remind is that it is the Resurrection of the dead that we hope in, and rest secure. 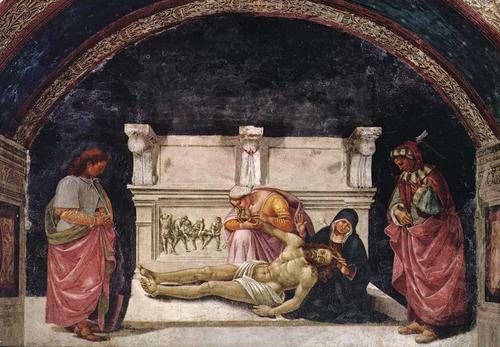 Belief in the resurrection of the dead is an essential part of Christian revelation. It implies a particular understanding of the ineluctable mystery of death. It is always necessary to ensure that popular piety is inspired by the principles of the Christian faith. Thus, they should be made aware of the paschal meaning of the death undergone by those who have received Baptism and who have been incorporated into the mystery of the death and resurrection of Christ (cf. Rm 6:3-10); the immortality of the soul (cf. Lk 23:43); the communion of Saints, through which ‘union with those who are still on their pilgrim journey with the faithful who repose in Christ is not in the least broken, but strengthened by a communion of spiritual goods, as constantly taught by the Church’: ‘our prayer for them is capable not only of helping them, but also of making their intercession for us effective’; the resurrection of the body; the glorious coming of Christ, who will ‘judge the living and the dead’; the reward given to each according to his deeds; life eternal. the application of spacio-temporal categories of the dead. For further reading this topic see the Directory on Popular Piety and the Liturgy. For the prayers and info on the indulgence, see my previous post here. God does indeed wipe away our tears, He feels our pain; the Lord carries the cross we bear, and I believe He lightens our burdens. These observances of All Souls and during the entire month of November allow God to touch our hearts, sooth our minds, and carry us close to His face. Living is made easier in remembering our loved ones at the altar of the Mass and a visit to the cemetery. Connect with God the Father through prayer and an act of love.